Mary Jay Berger performed during nearly 10 days of non-stop stand up comedy in May. Most of the marathons that happen in the U.S. don’t involve running. Across the country each week, there are events like shred-a-thons, hot-tub-a-thons, and lift-a-thons. 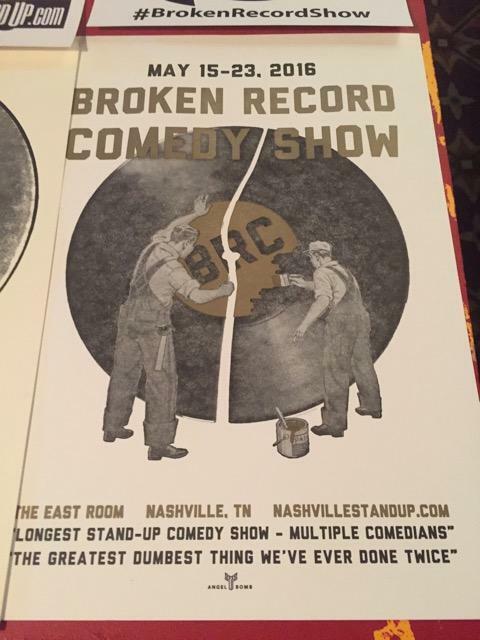 And Nashville has become home to a stand-up-comedy-a-thon — non-stop jokes for more than a week. Decades before Jerry Lewis stayed up all night with his telethons, there were stunts of flagpole sitting and dancing that sometimes lasted weeks. For over a year now, I have been studying precisely these kinds of endurance feats, from bowl-a-thons to swim-a-thons to hair-cut-a-thons. And I recently attended the Broken Record Comedy Show. The title of the show is a joke itself, playing off the idea that comedy lasting so long must eventually sound like a broken record. But the event is also trying to break the record for the longest stand-up show by multiple comedians. On a Sunday morning, people fill a small venue in East Nashville to kick off eight days. “Who’s ready for jokes at 5 a.m.?” asked DJ Buckley in the opening set. The comedy-thon — in its second year — is Buckley's brainchild. Last year, they almost doubled the existing record from 80 hours to 184 hours. Now they want to one-up themselves. The audience comes and goes, stopping at the bar for food and drinks or retreating to a few couches with blankets. On stage, performers rotate. The organizers adhere to the guidelines established by the Guinness Book of World Records. And most of the producers’ time is spent checking and double checking that they aren’t in violation. But just after 11 p.m. on the second day, one of the show’s producers, Chad Riden, takes the stage. According to Guinness rules, no comedian can perform twice within 4 hours. And Riden accidentally sent someone to the stage 10 minutes too early. They decide to start over. This is the most mysterious aspect of these endurance feats: Why do something you love to the point that it becomes agonizing? “Everything just kind of runs together,” says comedian Narado Moore, who talks to me after finishing a two hour set a few nights after the clock starts over. Many people made this comparison to summer camp. The thing about camp is that no one wants it to end. But if camp went on forever, it wouldn’t be so special. On the afternoon of the ninth day, the audience looks tired but happy. After checking the time carefully to make sure they’ve gone just five minutes over their own record, the show ends in the simplest way. Chad Riden says thank you and jumps off the stage to loud applause. People who organize marathon feats can have a hard time explaining exactly what motivates them. On the show’s website, the tag line, in large font, says “The Greatest Dumbest Thing We’ve Ever Done Twice.” But Riden says it’s more than that. Kevin Gotkin is a Ph.D. Candidate at the Annenberg School for Communication at the University of Pennsylvania. A theater in Gallatin is trying to make it easier for kids with autism to go to the movies. 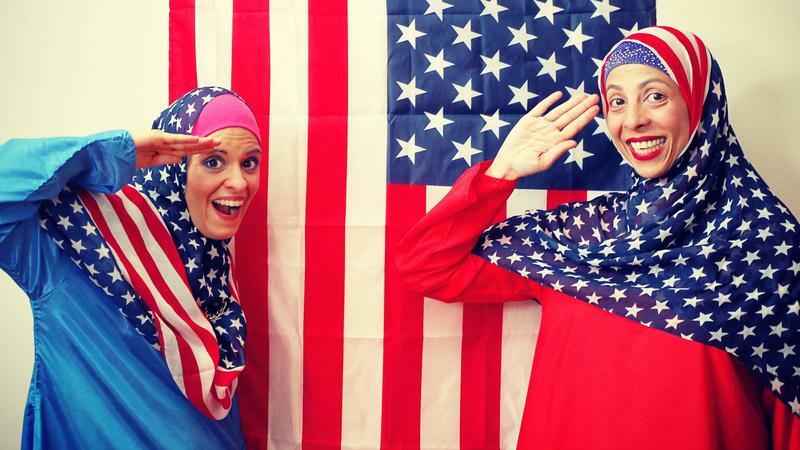 Growing up, comics Nadia Manzoor and Radhika Vaz never dreamed that they would one day co-star in a sketch-comedy series about two women in Brooklyn. After years working the stand-up circuit, Louis C.K. 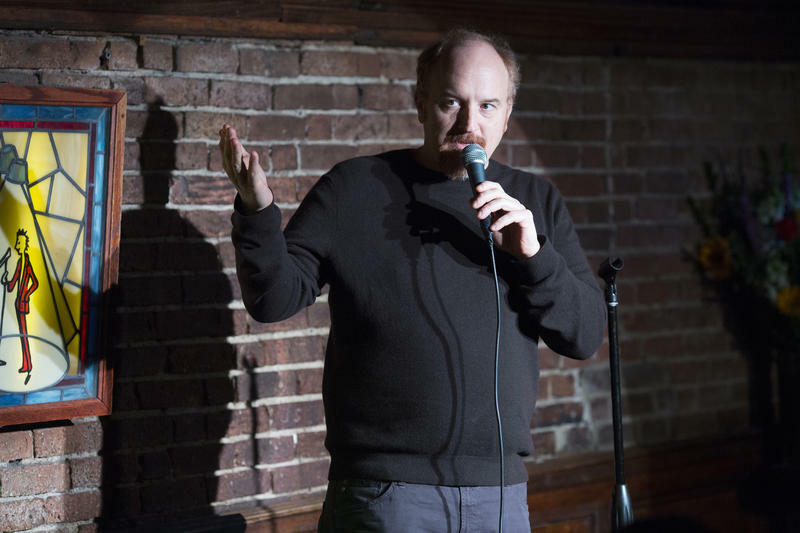 is well established as a comic powerhouse; his FX series Louie is in its fifth season, and C.K. also has a new comedy special that's available as a digital download on his website. But the laughs didn't always come easily. C.K. was a teenager when he first ventured onstage at a local comedy club's open mic night.